The dealers listed below are ISCA Recognized Dealers. They have agreed to abide by the ISCA Code of Ethics and the ISCA Dealer Agreement. 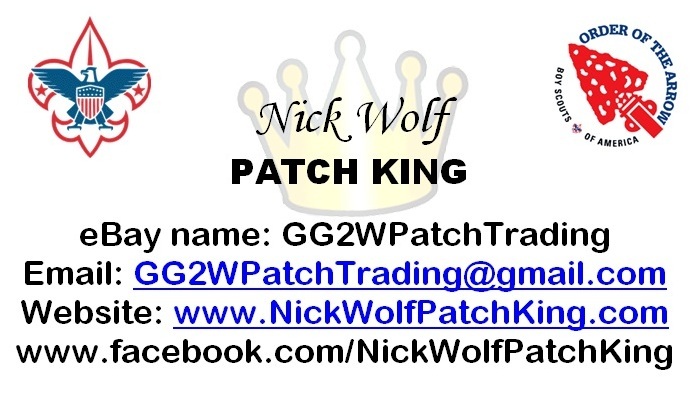 BNick Wolf, known to sum as the Patch King or by others as GG2WPatchTrading is a young-gun collector. Featuring many popular Jamboree and NOAC Issues, Nick often sells what is "hot and popular" based on the demand of the new generation collectors. These items include Marvel, Star Wars, Halo, Minecraft and other themed sets. Nick doesn't have a large variety of "old and rare" patches, but has a very wide selection of newer issued items from the 2001 Jamboree and on. Nick is also known for buying patches in bulk to resell to fellow collectors at a good bulk price for them to re-trade. As an Eagle Scout, Vigil Honor Member, and former Lodge Chief, Nick enjoys attending Conclaves, Jamborees and NOACs. Boy Scout Store sells thousands of products with some of the lowest prices around. We have everything available from CSPs, OA Flaps, National and World Jamboree, Red and Whites, and even Spoof Patches and Merit badges. We have a state of the art shopping cart that allow you to shop 24 hours a day 365 days a year with no hassle. You can pay by check or use any major credit card as we have partnered with PayPal, the global leader in online payment solutions. When you shop with Boy Scout Store you will have a First Class Shopping experience. OA Lodge Store focuses on selling Order of the Arrow memorabilia to Arrowmen and collectors around the world. We also work with Lodges to set up their own store that allows them to sell their flaps and patches on the Internet. We have a state of the art shopping cart that allow you to shop 24 hours a day 365 days a year with no hassle. You can pay by check or use any major credit card as we have partnered with PayPal, the global leader in online payment solutions. First Class Shop specializes in recycled Boy Scout and Girl Scout uniforms. We also have a variety of Scouting accessories, current insignia and memorabilia. Our website offers FREE SHIPPING and accepts Visa and Master cards. First Class Shop is open from October 15 to April 15th. "First Class" means the best and we strive to always meet that goal.